The Sharp FP-J60M comes equipped with highest possible consumer grade air filters, sports good design and best-in-class performance which won it our Zero1 award. If you live in a highly polluted city like Delhi or Mumbai, or any metro city for that matter, we would highly recommend the Sharp FP-J60M air purifier. It’s priced at Rs 35,000 and the only shortcoming of the device would be the absence of IoT capabilities, but that doesn't hamper the air purifier's function in any way. 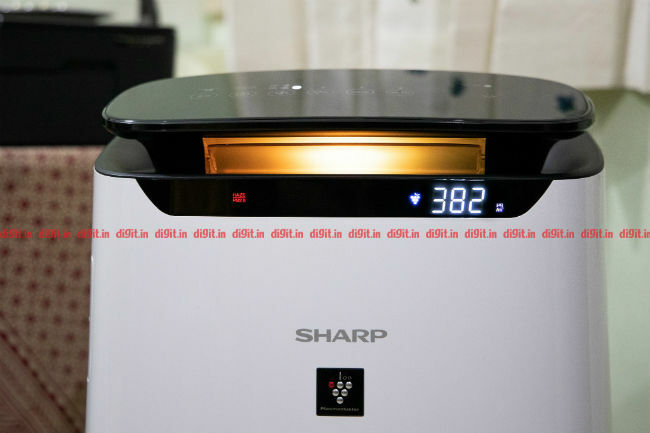 Sharp introduced its J series of air purifier in India this year and we received the FP-J60M for review. The company’s air purification solutions are well known, thanks to its proprietary Plasmacluster technology that is used in most of its devices. However, lowering the harsh air pollution levels in Delhi is a challenging task, even more so around the Diwali season. While the J60M comes equipped with the Plasmacluster technology and features a three-stage method of air filtration, our review process takes the device through its paces to assess exactly how efficient the air purifier is. 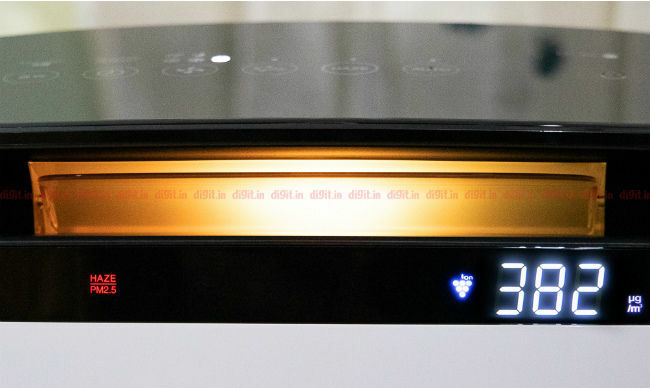 The device won our Zero1 award and only the Blueair Classic 280i (review) is its closest competitor, which we have reviewed. Let's take a look at how the device performs. We have reviewed many air purifiers and the common theme is either a box-type or a tower design. These two types of designs can hog considerable space inside your home and sometimes, don’t exactly blend in with the decor. The Sharp FP-J60M can also be considered to feature a tower-like design, and it doesn’t really hide when placed in a room. However, both factors play to its benefit as the air purifier does not take up too much space with a relatively smaller footprint and its features like the top panel, glowing neon light and the sharp display (pun intended) on the front, add to its aesthetics. The J60M weighs 10.3 kg and while some other air purifiers, which also weigh around the same, come with wheels, there’s no such convenience on the Sharp air purifier. However, there are two notch like cavities on the rear, which should help ease the process of moving the device around your home. As we have noted in our previous reviews, an air purifier’s design plays a significant role in how it circulates pure air inside a room and the design used by Sharp on this air purifier is called a 20-degree airflow. The outlet vent on the J60M is located on top, which features a slightly curved design. The device is supposed to be kept at some distance from the wall so that the air is reflected off from it to spread uniformly around a room. While the main air vent to expel purified air is placed on the top, there’s a secondary air outlet on the front. Behind this vent is the Plasmacluster technology and it kicks in to produce a “Plasmacluster shot,” which is essentially a burst of positive and negative ions. Unlike other ionisation processes, the Sharp air purifiers do not produce any Ozone in the process. However, we will delve deeper into the Plasmacluster technology and how it works in the performance section. Most air purifiers simply use mechanical means of air filtration, which means that they have a HEPA filter for capturing particulate matter in the air. However, some companies make use of additional technology to take the filtration process up a notch. Sharp is one such manufacturer, as is Blueair. The Sharp J60M comes equipped with two main filters and a pre-filter, which traps larger particles so that the subsequent filters can function more efficiently and for a longer period of time. Coming to the two main filters, the first one is an Activated Carbon filter that Sharp calls a deodorizing filter and the second one after it is an H-14 grade HEPA filter. The filter placement is also correct since a Carbon filter has higher operational life, and should ideally be placed before the HEPA filter. As mentioned above, the device also comes equipped with a pre-filter, which is placed on the device’s rear panel. The air inlet itself is the pre-filter, which is both a pro and a con. The air getting sucked in is pre-filtered at the inlet vent, which means that the device’s insides will stay relatively clean. However, if the bigger particles keep accumulating on the rear panel and could be accidentally released back into the atmosphere when one tries to clean the air purifier or lift it for moving around the house. One will need to be careful about this and clean up the pre-filter every two weeks or earlier, depending on the pollution in your area. The electrostatic HEPA filter on Sharp’s air purifier is based on Japan’s JEM1467 standard. This standard takes the filtration efficiency into account and the H-14 grade is rated to retain more than 99.97 percent of particles that are trapped in it. We will discuss its performance in the next section. However, before we move ahead, do note that a HEPA filter gets darker after use but unlike a pre-filter, it should never be washed. Additionally, Sharp suggests that the filter might need to be exposed to bright sunlight for three to four hours, at least once in 45 days. This process actually holds true for most mechanical filters because they can produce some odour after a while, due to the trapped particles. Sharp claims that the filters can last for a year or around 8760 hours. The number of hours it will last will of course change depending on the level of pollution in an area where the device is operated. Additionally, one will have to shell out Rs 6000 when replacing the filters, which is reasonable considering how many other air purifiers need their filter replaced every six months or so and cost around Rs 3,000. 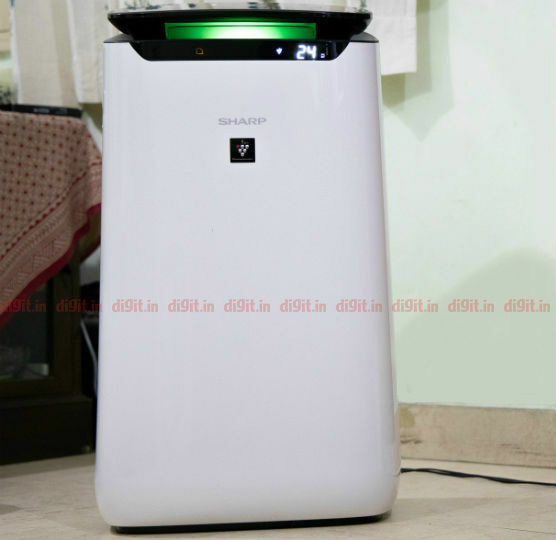 Sharp says that its air purifiers produce positive and negative ions when the Plasmacluster technology is switched on. While there are other air purifiers that also do the same, there's a chance that harmful Ozone gas might be produced in the process as they ionise the air being purified. This happens as a result of the production of negatively charged Oxygen ions that combine with a free Oxygen atom in the air to produce Ozone gas. Additionally, the negative Oxygen ion can also latch onto pollutants in the air so that they become heavier and fall down but the drawback is that these particles are then on your floor, walls and basically any horizontal surface. However, this is not the case with Sharp's devices as they produce both negative and positive ions, just like it happens in nature. All Sharp air purifiers that use the Plasmacluster technology come fitted with a Plasmacluster unit that features two electrodes. By passing high voltage current between the two electrodes, it breaks water vapour (H20) into Hydrogen cations and Oxygen anions. However these positive and negative ions differ from what other air purifiers produce. Sharp claims that the ions produced by their Plasmacluster technology are said to be enveloped in water vapour so that these ions don't react with other Oxygen atoms in the air, preventing the formation of Ozone gas. When these ions are released in the air, they find floating pathogens in the air and latch onto it and form a Hydroxyl ion momentarily. A Hydroxyl ion is an oxidising agent that removes a Hydrogen atom from the pathogen to form water vapour and breaks the virus or bacteria's structure in the process, rendering it less harmful. As we said, there was no way for us to test this process or count the reduction in the number of pathogens in the air. We definitely doubted the technology at first but we can confirm that the Sharp J60M works wonderfully because we had our best sleep in months when the air purifier ran overnight. The claims made by Sharp about its Plasmacluster technology have also been verified by various research labs globally and the technology is said to work even against H1N1, e-Coli, MSRA, tuberculosis and other pathogens. My colleague Swapnil Mathur suffers from severe asthma, with attacks occurring mostly while he sleeps. He says that he didn't experience even one bout of wheezing, let alone a proper asthma attack when the air purifier was being used at his home. I believe that if the device did manage to alleviate a lung problem that is caused by pollutants and floating dust particles, then it is worth purchasing. Air quality levels in Room 2 usually vary between poor and moderate, but the place is regularly dusted and kept clean. Its ceiling height and area are 12 ft and 140 sq ft respectively. Room 3 is an area with a comparatively lower amount of airborne particulates and its ceiling height is 12 ft and it has an area of 350 sq ft. Additionally, the Sharp J60M shows the current PM2.5 levels on its display but we used an air quality monitor to confirm how well the air purifier performs. Do note that we recorded the concentration and not weight of the PM2.5, PM10 pollutants, and these are listed in µg/m3. We first tested the device in room 1, where before starting our standard tests for 45 minutes, the PM2.5 and PM10 levels were 141 and 173 µg/m3 respectively. 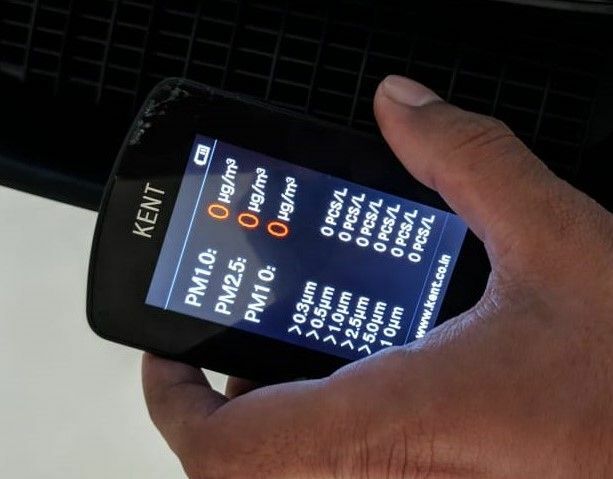 As per the National Ambient Air Quality Standards, permissible particulate levels (over 24 hours) for PM2.5 is 60 µg/m3 and for PM10 is 100 µg/m3 and a healthy person would be gravely affected when exposed to high levels of air pollution for a long period of time. One could be under high risk of developing lung and/or coronary complications due to such high levels of air pollutants. 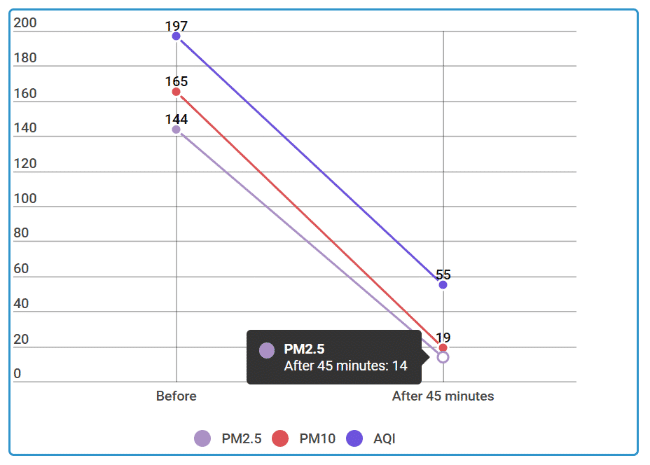 Coming back to the testing, we ran the air purifier on its maximum speed for 45 minutes and observed that it was able to bring down the PM2.5 levels to 9 and PM10 to 11. The overall AQI (based on PM2.5 particles) was also lowered from 195 to 38, which falls in the Good range on the AQI index and indicates that the device features commendable air cleaning efficiency. Coming to the tests conducted in room 2, the initial air pollution levels were also quite high with PM2.5 and PM10 at 144 and 165 µg/m3 respectively. Again, letting the purifier run for 45 minutes, we recorded the two pollutant levels at 14 and 19 respectively. The AQI in the room was initially 197 and after the tests, it dropped down to 55, which falls in the satisfactory level. This level of consistent performance is impressive and given that the air purifier is capable of lowering air pollution levels to such low levels and that too consistently, is quite impressive. Room no 3 is our own conference room where we test every air purifier and before beginning our tests, the PM2.5 reading was at 91 with the overall AQI being 169, while the PM10 levels were at 106. 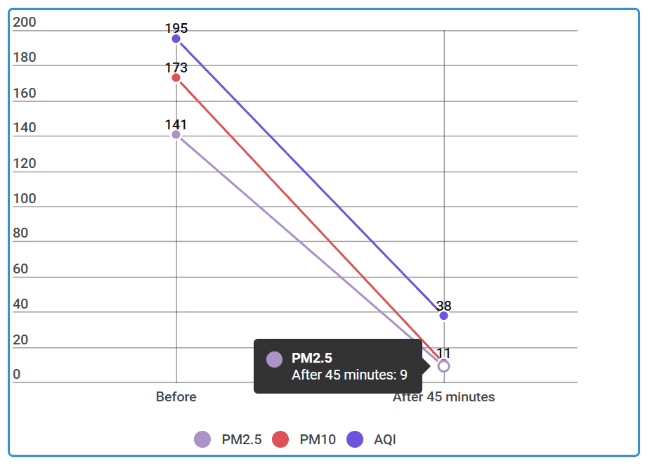 After the air purifier ran for 45 minutes, the PM2.5 particulate count was down to 15, PM10 to 15 and AQI was at 57. Again, the Sharp J60M performs well and has reduced the harmful particles in the air to a consistently low level. Notice that not only the PM10, PM2.5 and the PM1.0 values are zero, the relative particle size concentrations have also dipped to zero. The only other air purifier that we have tested with this kind of performance is the IQ Air HealthPro 250(review), which is one of the best air purifiers but also costs a pretty penny. The Sharp J60M features all the standard control options one would expect from an air purifier. Additionally, all the controls are touch based and while there’s no tactile feedback, the machine beeps every time a control is toggled. Alongside the standard on/off switch, the device comes with six other controls like one to control the air purifier’s speed, another to activate/deactivate the Plasmacluster technology and there’s also a timer control. The Haze button runs the air purifier runs on full speed for 60 minutes and then alternates its air purification speed between high and slow for 20 minutes. This is said to “efficiently destroy & eliminate poisonous gases & PM 2.5” and while the device’s standard operation can do the same, this option works best when the air quality outside is exceptionally degraded. There is also a dedicated button to change the front display between PM2.5 and the power being consumed by the device. There is also a control to put the device in Auto mode. After testing a bunch of air purifiers, we can say that it’s difficult to get the Auto mode programming right on a device so that it can purifying the air in India. However, the Auto mode on the Sharp J60M manages to keep the air quality satisfactory. The only qualm we have with the device is the lack of IoT smarts. There is no app support or IoT capabilities on the device, which is bit of a let-down since its addition would have made this a perfect device to control from afar for example, when on your way home from the office or laze around and control from a smartphone without needing to get up and tinker with the buttons. 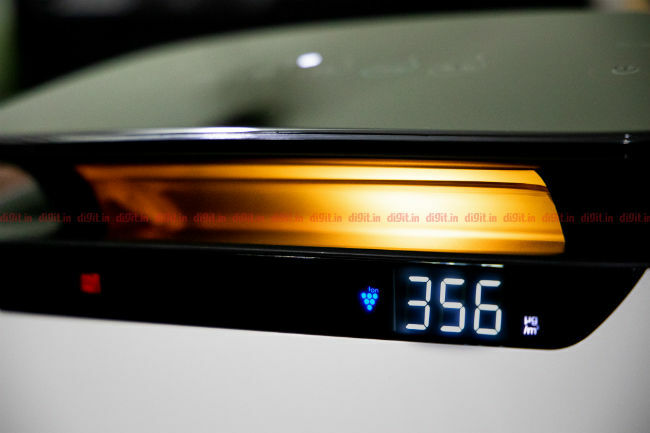 If anything, we would have at least loved to have a remote control be a part of the package, especially given how the top panel has enough space (and the colour scheme) to accommodate an IR sensor. The device’s speed control is not quite granular but it can be controlled in three stages of low, mid and high. There are two additional options of Sleep and Pollen mode along speed control. 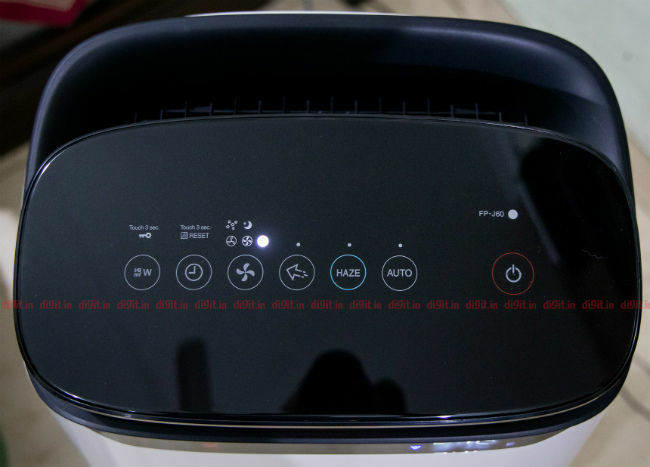 While there’s not much benefit from keeping the device in Pollen mode, Night mode dims the air purifier’s display and its glowing lights that represent air quality also turn off. Additionally, there’s an ambient light sensor on the device’s top panel that senses and adjusts the air purifier’s panel display automatically. Thanks to efficient air flow, high-grade air filters and the Plasmacluster technology, the Sharp J60M is capable of clearing the air of pollutants in a short period of time. Additionally, while the Plasmacluster technology is said to be capable of reducing pathogens in the air, there’s no way for us to test it. 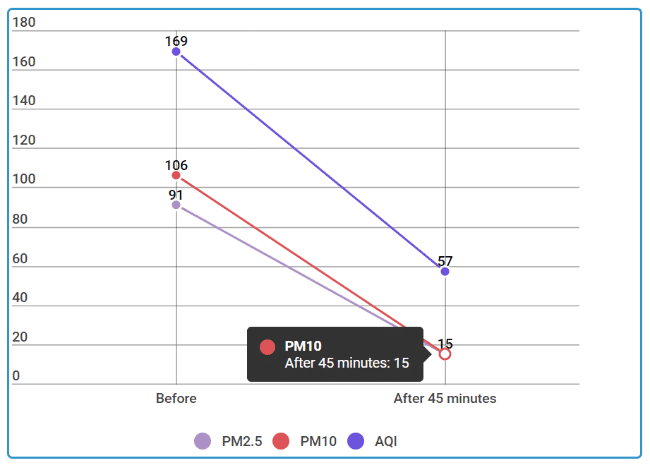 However, the drop in PM2.5 and PM10 levels that we observed in a room is more than enough to reaffirm the purifier’s air cleaning capability. Overall, the Sharp J60M performs well and is capable of cleaning highly polluted air with ease and in a relatively short amount of time, in as less as 35 minutes for a 120 sq ft room with a ceiling height of 12 ft. While Sharp also offers other air purifiers in its J-series, we think that the J60M strikes the perfect balance between price and efficiency. It consistently performs well in areas with varying air pollution levels and is also effective for areas with high pollution levels like Delhi, Faridabad, Hyderabad and others. In case you want a device that is slightly less efficient but offers IoT smarts, you can go for the Blueair Classic 280i (review). The Kent Alps air purifier (review) will serve well for users who are looking to buy an air purifier on a budget.